Italian Leo Zagami is a freemason of the highest degree and Grandmaster of the European Illuminati. Illuminati is a secret network that has been developed through centuries and yields much power within the areas of banking, finance, politics, media, religion, Freemasonry and other. The American one dollar bill displays a pyramid with 13 levels and an eye at the top which is the symbol of the Illuminati. This is also a symbol of the enormous financial power of the Illuminati that has control and running of central banks as one of their prevailing business concepts. 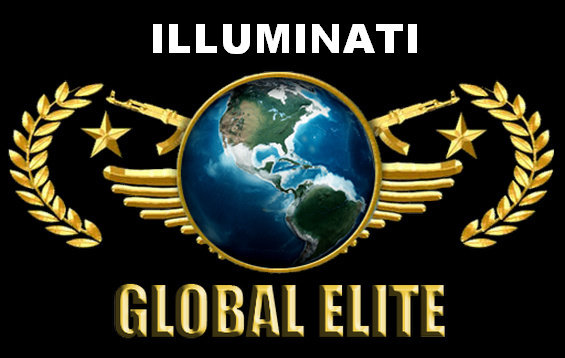 Illuminati is involved in various secret activities, both material and esoteric. Satanism is a part of this. Orders controlled by the Illuminati where this has been practised are among others the OTO (Ordo Templi Orientis) and The Order of the Skull & Bones 322, where President George W. Bush is an initiated member under oath. The issue of bloodlines is extremely important for members of the Illuminati. Through his bloodlines, royal British-Scottish at his mothers' side and Italian black nobility at his fathers' side, Leo Zagami was born into having an important position of power within the Illuminati network. At age 23 Zagami was initiated as Freemason of the 33rd degree. He was born to be the successor of the ageing Illuminati king Licio Gelli at the P2 lodge of Monte Carlo. Zagami started visiting Norway in the 90’s to investigate whether satanic activities were taking place there. As a freemason and grandmaster of the Illuminati, he became naturally integrated into the Norwegian freemason and satanic communities. 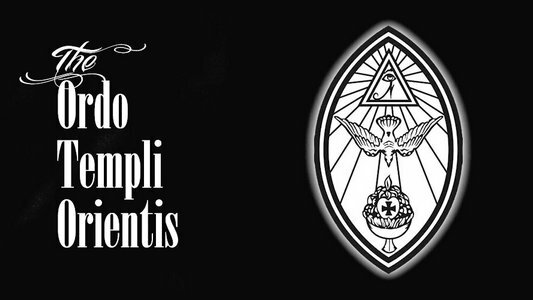 In 2002 Zagami was consecrated into the Egyptian-gnostic order of Memphis-Misraïm, which happens only to a selected few freemasons of the highest order. Zagami experienced that there was a lot of satanic activity going on in Norway. In 2003 he started his efforts to end the ritual satanic practices by raising the issue internally within the communities. But fighting satanism in Norway turned out to be far from easy. After Zagami took the first discrete initiatives to radically change the practices within these communities, he experienced on various occasions to become a victim of abuse carried out by the Norwegian authorities. The first time Zagami became the target of power abuse was in the autumn of 2003. During some days persons from the OTO had been harassing Zagami and his girlfriend at the time using phone and email. This provoked and infuriated Zagami and made his Norwegian girlfriend at the time, who was not so well used to Sicilian temperament, to feel uneasy about the situation and call for assistance. Suddenly representatives for the Norwegian intelligence service, the PST, appeared at his home. Zagami was handcuffed and brought to the psychiatric emergency unit for registration. Then he was brought to a psychiatric hospital where he was confined. Normally, the intelligence unit PST has no connection to mental health assistance services, indicating that the whole charade of provocations and the resulting follow up was a setup initiated by certain OTO members. Our Norwegian flag on half-mast in shame. Although quite unknown to the public, even in Norway, the Norwegian government has a tradition of widespread use of mental ward confinement towards individuals that are considered being «obstacles» for the Norwegian authorities and their shady puppet masters. This happened to a brilliant lawyer named Synnove Fjellbakk Tafto, who worked in the Norwegian ministry of foreign affairs during the membership negotiations with the EU. After she had made it clear for the politicians taking part in the negotiations that the legal framework she was presented implied a breach of the Norwegian constitution and nothing was done about it, she was about to blow the whistle. But before she was allowed to speak into a TV microphone she was taken away on the order of a Norwegian politician with much power at the time. She was put into a mental hospital where she has spent lots of years since. This shame has never been mentioned in Norwegian media. Being inside the psychiatric ward, the statements made by Zagami to explain his situation and his mission in Norway were interpreted by the mental ward staff and registered in their journals as Zagami being «megalomaniac» and having «extensive delusions»,«paranoic conceptions» and «faulty perception of reality». These misinterpretations made by the ward authorities who themselves displayed faulty perceptions of the reality of Zagami, were in its turn used as the psychiatric rationalizations for applying the inhuman Norwegian law that permits forced mental ward confinement. As a foreigner unable to speak the local language, and without proper connections in Norway Zagami became a helpless victim of the abuse of power by the Norwegian government. The use of mental ward confinement against persons displaying «undesired attitudes» was a successful formula in the former Soviet Union. For a person who has been institutionalized in a mental ward, many acts from the ward staff will deliberately or coincidentally function as provocations pushing the nerves and emotions of the client towards its boundaries or beyond. Thus any reaction to the insane situation that is being experienced by the client will be perceived by the ward staff as confirming the correctness of the decision to having the person put into confinement. Due to this devilish dynamics and other circumstances, once being inside, the battle to get out might be long and hard, exacerbated by the uncertainty of the duration of the stay. Zagami managed, however, to escape by fleeing from the mental ward confinement. Having checked in and passed the security control at the Oslo Airport and heading for London, he was arrested by the Norwegian police and brought back to continued confinement at the mental institution. After lots of hassle and uncertainty, Zagami was finally released from the ward after having been there for 4 weeks. In connection to this, it can be mentioned that the following year, a mentally disturbed asylum seeker from Africa stabbed 5 persons at an Oslo tramcar, one of which was killed. This dangerous mentally disturbed man was rejected psychiatric ward confinement on the grounds that all ward institutions were so full that not a single solitary room was available for this serious emergency situation. One and a half year later, in May 2005 another abusive assault on Zagami’s integrity was carried out by Norwegian authorities. During the night Zagami received a phone call from a person within the OTO telling him «you’re a dead man». Zagami contacted the police and reported the threat. However, the next morning Zagami’s home was surrounded by more than 10 heavily armed policemen. Since Zagami's phone was tapped by the secret police. The police could easily have verified that the threat that Zagami had reported was real. However, it was Zagami’s home that was raided and Zagami who was arrested. They brought him to the same psychiatric institution where he had been put the first time. In the ward journals, it says that he had been put there for «threatening behaviour in the street». There had also been an anonymous phone call to the ward institution complaining about Zagami as being threatening. (How could an anonymous caller know so well know where to call without having knowledge of the past?) Even the medical chief of the hospital admitted that such calls were very rare, acknowledging the probability of a setup. Prior to this, there had been a showdown within the Freemasonry in England, where Zagami had been playing an active role. As a result of this one English individual had been considered «not fit and proper» to participate in a certain community after some of his undertakings had been exposed due to Zagami. As it was, this individual had close ties to some Norwegians with the ability to pull the strings of «useful idiot» Norwegian authorities. In June 2006 Zagami came back to Norway after having broken out of and left the Illuminati. He had married Fatma Süslu the year before and she was pregnant with their child. Deflections very rarely occur within the closed and secretive Illuminati network. Anyone who leaves Illuminati runs the danger of death. Being at home with his wife Zagami explained the situation for his wife telling her that his life was in danger. She proposed to call the police for security reasons but Leo said no and took the cellphone out of her hand. Sometime later, seemingly out of nowhere, two policemen entered the home of the Zagami family. They handcuffed Leo and brought him to the same mental institution once more leaving her wife in disbelieve. He got out from the ward just in time for the birth of their son. Zagami not only had the courage to leave the Illuminati, but he also started publishing his Illuminati confessions at the Internet. These confessions contained lots and lots of information about the Illuminati, both historic and present, about its secret and dubious activities and about people involved. The first confessions were published at the blog site www.illuminaticonfessions.squarespace.com. (deleted) Some of the content was not appreciated by the Norwegian OTO and Freemason societies. For this reason, certain individuals from these societies filed a complaint about having their names exposed at the Illuminati Confessions website. This resulted in that the Norwegian authorities took action and had the original Illuminati Confessions website closed. This happened in December 2006, a couple of months after the publishing of the confessions started. Zagami’s response to this was to have the site and all the content moved to a server in Italy that was beyond the reach of the oppressive Norwegian authorities and to continue the Illuminati exposure from there. In the end of February 2008, Zagami suddenly found himself living alone after his wife had moved out of the home and taken the children with her. After the breakup, there was some degree of turbulence between them due to that Leo suddenly became deprived of the possibility of being with his son. Fatma on her side had made up false accusations against Leo and delivered to the police like some sort of, precautionary action to secure that the son would stay with her and not with his father. Late in the evening, one early day in march three police representatives (2 PST and 1 from the local Stovner police station) arrived in Zagami’s home. They said that they had to arrest him. When Zagami asked if they had a warrant they were unable to present this. According to police documentation, the warrant was produced after the arrest had been carried out. Zagami was brought to the local police station and put in a prison cell until the next day. The preceding event to this abusive police action was that Leo had had a telephone quarrel with his wife where he had made it clear that he wanted to see his son the following day which was Leo’s birthday. Half serious and half-jokingly he had said he would publish a sensitive photo and a sensitive video at the net if she did not let him see his son that he had not seen since she had left. Fatma Süslu had then called the police and reported that Leo had made threats to her. The day after the arrest, while Leo was still in prison, the police raided his home and confiscated his laptops and cell phones along with some documents, among those the original documents of the Norwegian Committee of Hope. This committee was founded the year before when the world-famous author G. Edward Griffin was in Norway. During this visit, Griffin awarded Leo Zagami the Freedom Force international Award for his whistleblower bravery. This high ranking award had previously been given to Aaron Russo and other men of high moral and integrity. Before Zagami left Norway in April the police went through their confiscated stuff and decided to return his telephone book – but the founding document of the Committee of Hope remained in their custody and they still have to this day his computers, mobile and all the rest. It might seem as if fascism should arrive in Norway, most of the inhabitants won't even notice since it might seem it is already in place. Leo Zagami then decided to return to Illuminati during the last part of his stay in Norway. His departure from the Illuminati two years earlier had created turbulence within the Monte Carlo P2 lodge. Another person had followed Zagami's path of deflection and there appeared a clearly felt vacuum within the lodge that only the bloodline Zagami is carrying might seem able to fill. Zagami has also assumed the position of Supreme Commander of the Knights Templar of the Apocalypse, determined to continue his work of exposure of secret criminal activities and to restore the practices within freemasonry and other secret societies to their original benevolent purposes. 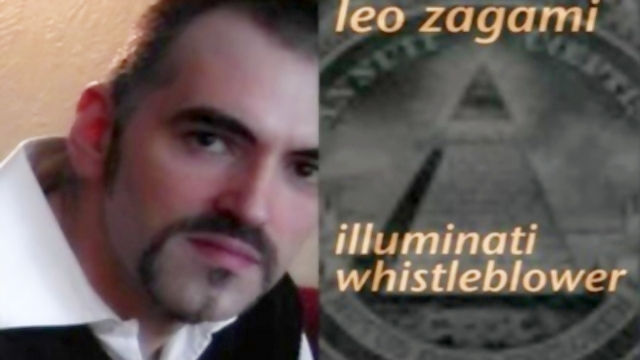 Few if any seem capable of being better able to implement these required actions than Leo Zagami, not the least because of his immense knowledge, being known within the Illuminati as «The historian». Italiensk Leo Zagami er en høyskolefrimason og Grandmaster of European Illuminati. Illuminati er et hemmelig nettverk som har blitt utviklet gjennom århundrer og gir mye makt innen bank, finans, politikk, media, religion, frimureri og andre. Den amerikanske en dollarregningen viser en pyramide med 13 nivåer og et øye øverst som er symbolet på Illuminati. Dette er også et symbol på den enorme økonomiske kraften i Illuminati som har kontroll og drift av sentralbanker som en av deres rådende forretningskonsepter. Illuminati er involvert i ulike hemmelige aktiviteter, både materielle og esoteriske. Satanisme er en del av dette. Ordner kontrollert av Illuminati hvor dette har blitt praktisert er blant annet OTO (Ordo Templi Orientis) og The Order of the Skull & Bones 322, der president George W. Bush er et initiert medlem under ed. Spørsmålet om bloodlines er ekstremt viktig for medlemmer av Illuminati. Gjennom hans blodlinjer, kongelig britisk-skotsk på sin mors side og italiensk svart adel ved sin fars side, ble Leo Zagami født i å ha en viktig maktposisjon innenfor Illuminati-nettverket. Ved 23-årsalderen ble Zagami initiert som Freemason av 33-graden. Han ble født som etterfølger for den aldrende Illuminati-konge Licio Gelli på Monte Carlo P2-hytta. Zagami begynte å besøke Norge på 90-tallet for å undersøke om det var sataniske aktiviteter der. Som freemason og stormester til Illuminati ble han naturlig integrert i norske frimurer og sataniske samfunn. I 2002 ble Zagami innviet i den egyptiske gnostiske rekkefølgen av Memphis-Misraim, som bare skjer med utvalgte få frimurere av høyeste orden. Zagami opplevde at det var mye satanaktivitet som skjer i Norge. I 2003 begynte han sin innsats for å avslutte den rituelle sataniske praksisen ved å løfte problemet internt i samfunnene. Men å bekjempe satanismen i Norge viste seg å være langt fra lett. Etter at Zagami tok de første diskrete tiltakene for å radikalt endre praksis i disse samfunnene, opplevde han ved ulike anledninger å bli offer for misbruk utført av norske myndigheter. Første gang Zagami ble målet for maktmissbruk var høsten 2003. I noen dager hadde personer fra OTO trakassert Zagami og kjæresten sin da han brukte telefon og e-post. Dette provoserte og rasende Zagami og gjorde sin norske kjæreste på den tiden, som ikke var så godt vant til siciliansk temperament, å føle seg urolig over situasjonen og ringe for hjelp. Plutselig viste representanter for den norske etterretningstjenesten, PST, seg hjemme. Zagami ble håndjern og brakt til den psykiatriske beredskapsenheten for registrering. Deretter ble han brakt til et psykiatrisk sykehus hvor han var begrenset. Normalt har intelligensenheten PST ingen tilknytning til psykiatriske hjelpetjenester, noe som indikerer at hele charade av provokasjoner og den resulterende oppfølgingen var et oppsett initiert av visse OTO-medlemmer. Selv om det er ganske ukjent for publikum, selv i Norge, har norsk regjering en tradisjon med utbredt bruk av psykisk avdeling for personer som anses å være «hindringer» for norske myndigheter og deres skyggefulle dukkemestere. Dette skjedde med en strålende advokat ved navn Synnove Fjellbakk Tafto, som jobbet i utenriksdepartementet under medlemskapsforhandlinger med EU. Etter at hun hadde gjort det klart for politikerne å delta i forhandlingene om at lovverket hun ble presentert innebar en brudd på den norske grunnloven og ingenting ble gjort med det, ville hun blåse fløyten. Men før hun fikk lov til å snakke inn i en tv-mikrofon ble hun tatt bort på norsk politisk ordre med stor makt på den tiden. Hun ble satt inn på et mentalsykehus der hun har tilbrakt mange år siden. Denne skammen har aldri vært nevnt i norske medier. Å være inne i den psykiatriske avdelingen ble de uttalelser Zagami gjorde for å forklare sin situasjon og hans oppdrag i Norge fortolket av psykiatriske medarbeider og registrert i sine tidsskrifter som Zagami er «megalomaniac» og har «omfattende vrangforestillinger», «paranoiske forestillinger» og «Feilaktig oppfatning av virkeligheten». Disse feilfortolkningene av menighetsmyndighetene som selv viste feil oppfatninger av Zagami-virkeligheten, ble i sin tur brukt som psykiatriske rasjonaliseringer for å anvende den umenneskelige norske loven som tillater tvangsavhengighet. Som en utlending som ikke kunne snakke lokalspråket, og uten riktige forbindelser i Norge, ble Zagami et hjelpeløst offer for magtmisbruk av den norske regjeringen. Bruken av mentalavdelingen mot personer som viser «uønskede holdninger» var en vellykket formel i det tidligere Sovjetunionen. For en person som har blitt institusjonalisert i en mental avdeling, vil mange handlinger fra menighetspersonalet bevisst eller tilfeldig fungere som provokasjoner som skaper nerver og følelser av klienten mot sine grenser eller utover. Således blir enhver reaksjon på den vanvittige situasjonen som oppleves av klienten oppfattet av menighetspersonalet som bekreftelse av at beslutningen er riktig å ha personen innlagt. På grunn av denne djevelske dynamikken og andre omstendigheter, når man er inne, kan kampen om å komme seg langt og hardt, forverret av usikkerheten om oppholdets varighet. Zagami klarte imidlertid å unnslippe ved å fly fra den mentale avdelingen. Etter å ha sjekket inn og passert sikkerhetskontrollen på Oslo flyplass og på vei til London, ble han arrestert av det norske politiet og brakt tilbake til fortsatt inneslutning hos mentalinstitusjonen. Etter mye trøbbel og usikkerhet ble Zagami endelig frigjort fra menigheten etter å ha vært der i 4 uker. I forbindelse med dette kan det nevnes at året etter stakk en psykisk forstyrret asylsøker fra Afrika 5 personer på en Oslo-sporvogn, hvorav den ene ble drept. Denne farlige mentalt forstyrrede mannen ble avvist psykiatrisk avdeling med begrunnelse at alle menighetsinstitusjoner var så fulle at det ikke var et enkeltrom for denne alvorlige krisesituasjonen. Et og et halvt år senere ble det i mai 2005 utført et annet voldelig angrep på Zagamis integritet av norske myndigheter. Om natten mottok Zagami en telefonsamtale fra en person i OTO som forteller ham «du er en død mann». Zagami kontaktet politiet og rapporterte trusselen. Men neste morgen var Zagamis hjem omgitt av mer enn 10 tungt bevæpnede politimenn. Siden Zagamis telefon ble tappet av det hemmelige politiet. Politiet kunne lett ha bekreftet at trusselen Zagami hadde rapportert var ekte. Imidlertid var det Zagamis hjem som ble raidet og Zagami som ble arrestert. De brakte ham til samme psykiatriske institusjon der han hadde blitt satt første gang. I menighetsjournalen står det at han hadde blitt satt til «truende oppførsel på gaten». Det hadde også vært en anonym telefonsamtale til menighetsinstitusjonen som klaget over Zagami som truende. (Hvordan kunne en anonym person som kjenner så godt vet hvor du skal ringe uten å ha kunnskap om fortiden?) Selv medisinsk sjef på sykehuset innrømmet at slike anrop var svært sjeldne, og anerkjente sannsynligheten for et oppsett. Før dette hadde det vært et showdown i Frimureriet i England, der Zagami hadde vært en aktiv rolle. Som et resultat av dette var en engelsk person ansett «ikke egnet og riktig» for å delta i et bestemt samfunn etter at noen av hans tilsagn var blitt utsatt på grunn av Zagami. Som det var, hadde denne personen nære bånd til noen nordmenn med evnen til å trekke strenger av «nyttige idiot» norske myndigheter. I juni 2006 kom Zagami tilbake til Norge etter å ha brutt ut av og forlatt Illuminati. Han hadde gift Fatma Süslu året før, og hun var gravid med barnet sitt. Defleksjoner forekommer svært sjelden i det lukkede og hemmelige Illuminati-nettverket. Alle som forlater Illuminati, kjører faren for døden. Å være hjemme hos sin kone Zagami forklarte situasjonen for sin kone fortelle henne at livet hans var i fare. Hun foreslo å ringe politiet av sikkerhetshensyn, men Leo sa nei og tok mobiltelefonen ut av hennes hånd. Noen ganger senere, tilsynelatende ut av ingensteds, kom to politimenn inn i Zagami-familien. De handcuffed Leo og brakte ham til den samme mentale institusjonen igjen og forlot sin kone i disbelieve. Han kom ut fra menigheten rett og slett for sin sønns fødsel. Zagami hadde ikke bare motet til å forlate Illuminati, men han begynte også å publisere sin Illuminati-bekjennelse på Internett. Disse bekjennelsene inneholdt mye og mye informasjon om Illuminati, både historiske og nutidige, om sine hemmelige og tvilsomme aktiviteter og om involverte personer. Noen av innholdet ble ikke verdsatt av de norske OTO- og Frimuraselskapene. Av denne grunn innførte enkelte personer fra disse samfunn en klage om at de hadde fått navn på Illuminati Confessions-nettstedet. Dette førte til at de norske myndighetene traff seg og hadde den opprinnelige Illuminati Confessions-nettsiden stengt. Dette skjedde i desember 2006, et par måneder etter at bekjennelsen ble publisert. Zagamis svar på dette var å få siden og alt innhold flyttet til en server i Italia som var utenfor rekkevidden til de undertrykkende norske myndighetene og fortsette Illuminati-eksponeringen derfra. Få dager etter at Zagami fortsatte publiseringen av hans bekjennelser, ble hans hjem besøkt sent på kvelden av to politimenn og to sosialarbeidere. De tvang sin vei inn i Zagami-hjemmet, til tross for at kona hadde fortalt dem å vente ute til hun hadde ringt til politistasjonen for å sjekke at de faktisk var de de hevdet å være. Når de var inne, ble Zagamis kone eskortert inn i et annet rom, slik at de kunne snakke «privat» alene med Leo. Politifolkene truet ham med å bli arrestert dersom han fortsatte med sin Illuminati-bekjennelse på nettet. I nærvær av sosialarbeiderne ble det sagt at de hadde muligheten til å ta bort barna sine (Leos sønn og den andre sønnen til sin kone at Leo også ansett å være hans barn). Leo gjorde det klart at han på ingen måte hadde ment å bli rammet av truslene, og at han ville fortsette med utgivelsen av hans bekjennelser. Kort tid etter gikk representanter fra norske myndigheter. I slutten av februar 2008 fant Zagami plutselig seg selv etter at kona hadde flyttet ut av hjemmet og tatt barna med henne. Etter oppbrudddet var det en viss grad av turbulens mellom dem på grunn av at Leo plutselig ble fratatt muligheten for å være sammen med sin sønn. Fatma på hennes side hadde gjort falske anklager mot Leo og levert til politiet som en slags forebyggende tiltak for å sikre at sønnen ville bli hos henne og ikke med sin far. Sent på kvelden kom en tidlig dag i mars til tre politimyndigheter (2 PST og 1 fra Stovner politistasjon) i Zagami hjem. De sa at de måtte arrestere ham. Da Zagami spurte om de hadde en warrant, kunne de ikke presentere dette. Ifølge politidokumentasjonen ble warranten utarbeidet etter at arrestasjonen ble gjennomført. Zagami ble brakt til den lokale politistasjonen og satt i en fengselscelle til neste dag. Den foregående hendelsen til denne voldsomme politiet var at Leo hadde hatt en telefonkvart med sin kone der han hadde klart at han ønsket å se sønnen sin neste dag, som var Leos bursdag. Halv alvorlig og halvkule hadde han sagt at han ville publisere et sensitivt bilde og en sensitiv video på nettet hvis hun ikke lot ham se sin sønn som han ikke hadde sett siden hun hadde forlatt. Fatma Süslu hadde da ringt til politiet og rapportert at Leo hadde truet henne. Dagen etter arrestasjonen, mens Leo fortsatt var i fengsel, slo politiet sitt hjem og konfiskerte laptops og mobiltelefoner sammen med noen dokumenter, blant annet de originale dokumentene fra Norsk Håpkomité. Denne komiteen ble grunnlagt året før da den verdensberømte forfatteren G. Edward Griffin var i Norge. Under dette besøket tildelte Griffin Leo Zagami Freedom Force International Award for sin fløyteblåseri. Denne høyrangerte prisen ble tidligere gitt til Aaron Russo og andre menn med høy moral og integritet. Før Zagami forlot Norge i april, gikk politiet igjennom sine beslaglagte ting og bestemte seg for å returnere sin telefonbok - men grunnlagsdokumentet fra Håpkomiteen var i varetekt og de har fremdeles til dags dato datamaskiner, mobil og resten. Det kan virke som om fascismen skulle ankomme i Norge, de fleste innbyggerne vil ikke engang legge merke til da det kan virke som det allerede er på plass. Leo Zagami bestemte seg da for å komme tilbake til Illuminati i den siste delen av sitt opphold i Norge. Hans avgang fra Illuminati to år tidligere hadde skapt turbulens i Monte Carlo P2 lodge. En annen person hadde fulgt Zagamis nedbøyningsbane og det oppstod et tydelig følt vakuum i hytta som bare blodlinjen Zagami bærer, kan virke i stand til å fylle. Zagami har også antatt stillingen som øverstkommanderende for apostalens ridders templar, fast bestemt på å fortsette sitt arbeid med eksponering av hemmelige kriminelle aktiviteter og å gjenopprette praksis innen frimureri og andre hemmelige samfunn til deres opprinnelige velvillige formål. Få hvis noen ser ut til å være bedre i stand til å gjennomføre disse påkrevde handlingene enn Leo Zagami, ikke minst fordi hans enorme kunnskap er kjent i Illuminati som «historikeren». NB. Uredigert oversettelse med Google Translate. Les mellom linjene!